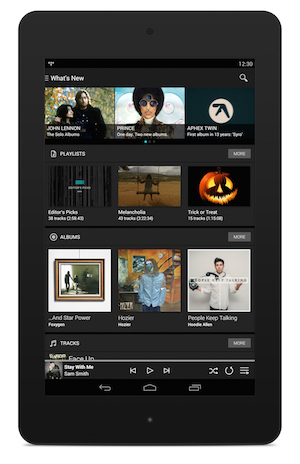 Tidal: the greatest thing ever, or just the latest wave? The launch of a CD-quality streaming service from the Wimp people has the ‘tech’ press a-buzz, but is its success written in the sand? 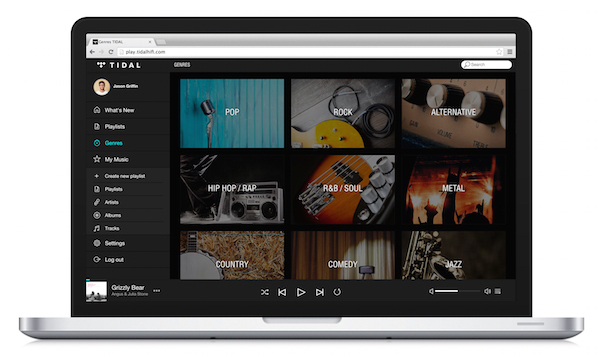 The latest and greatest music-streaming service appears to be Tidal, the newly-launched offering from the people behind the unfortunately-named (at least in English-speaking markets) Wimp. What’s not to like? It has CD-quality streaming, by all accounts is as easy as any other streaming service to use, and has a good catalogue of music. All this for £20, or $20 in the States – good to see the old £1:$1 hi-fi rate of exchange being operated by the Swedish-based originators of Tidal, by the way – , so it’s no wonder the ever-hungry ‘tech’ websites are lapping it up. One writer says that Tidal ‘sounds like the future’, and asks ‘Is high-definition music ready for the mainstream?’, conveniently overlooking the fact that CD-quality is only high-definition by comparison with the compressed services available from most streaming offerings to date. Another raves that ‘It’s time for CD quality music to make a glorious comeback’, which will come as something of a surprise for those of us for whom CD never actually went away, and who have been swerving the likes of Spotify simply because, for all its convenience, it doesn’t actually sound that good. So, according to the ever-hungry and click-aware ‘tech’ reporters, who seem increasingly to be writing with one eye on Google searchability and the other on ensuring they get quoted in manufacturers’ publicity material, Tidal is somewhere between the Second Coming and the greatest thing to happen to music since Mrs Mozart parked her three-year-old down to watch his elder sister having keyboard lessons. Throwing caution and spell-checking to the wind – apparently, for over a decade ‘we’ve been suckling at the teet of compression algorithms’ – , there’s apparently nothing to stop them raving about the latest (and thus greatest) thing. It seems ‘CD quality tracks have always been too big to carry around on our puny mobile devices’, but ‘mobiles now have plenty of onboard storage – there’s a 128GB iPhone 6’, which ignores the fact some of use have been using Apple Lossless or just simple CD-quality WAV or AIFF files to carry music on iPods of up to 160GB for at least the last half a decade. But then I guess since Apple killed off the iPod Classic – sorry, that’s ‘the iconic iPod Classic’ in tech-speak – , citing the lack of parts availability (and not in any way shape or form ‘why sell a dedicated music device when you can get people to buy a much more expensive phone to do the same job?’) , such devices are instantly consigned to history in a world where the most exciting thing ever is whatever was launched yesterday. Or today, if possible. Look, I’ve got nothing whatsoever against Tidal: in fact, the arrival of another service offering CD-standard music streaming – after Qobuz and the recently-announced Deezer Elite – can only be a good thing for the quality of music available for streaming. If that’s your cup of tea, great – it’s not mine, but that’s a whole different argument. No, what worries me is the pressure on hi-fi manufacturers not only to accommodate a raft of different services and technologies, but also to keep updating to serve whichever new ones emerge and are taken up by the ever-voracious tech pundits as the next must-have. Well, that and the confusion of consumers constantly being told they should subscribe to a particular service, then encouraged to change to something else a month (week? day?) later. The real problem is that as music is no longer something you look forward to buying – anyone else old enough to remember queuing for a new album release then going back to school, college or workplace with the new disc under your arm as a badge of achievement? Now it’s something that’s on tap, on demand or even thrown onto your computer, smartphone or tablet whether you like it or not, so it’s become a disposable fashion item of no lasting value. And when you view music in that way, why shouldn’t the means by which it’s delivered become equally transitory? With so many music-delivery services now on offer, and a load of ‘tech’ writers eager to jump on the latest bandwagon if it means more exposure, more clicks and more kudos, what are the chances of any of these services lasting any longer than the time it takes for a new rival to emerge? These streaming services are no doubt useful but there is always this- Two weeks ago my Internet provider was having issues and I was without service for a few days. And then, last week, I thought my computer crashed as it would not turn on or boot up. Luckily, it was just the power strip was turned off by accident. There was no way I would be able to listen to music if I just relied on an internet based service such as Tidal. So, yes, it is useful but certainly not practical if you are suddenly without internet service. So I will never consider these types of services as my main source of listening. I have some sympathy for hi-fi manufacturers on this one. Particularly because in 3-5 years most of the services will have been bought, merged or just gone bust. None of them make money not even Spotify. A good example is Naim. There’s a certain pent up demand for Qobuz support. But considering the uncertainty surrounding Qobuz’s finances, does it make sense to implement something that might not exist in 6 months time. I think it will always be near impossible for hi-fi manufacturers to keep pace. As the market consolidates it may also be that streaming companies restrict API access. 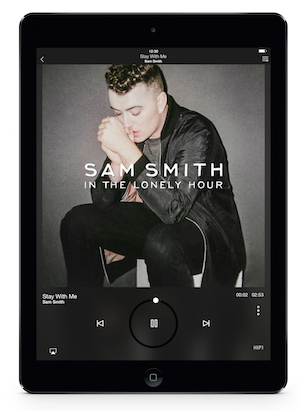 Sonos for example is no longer advertising Beats Music support. The best way in my opinion for hi-fi manufacturers to bridge this gap is to offer more products with Airplay and aptX Bluetooth streaming. It’s not perfect but it does work. With Apple relaxing the rules around bundling Bluetooth with Airplay and the positive launch of Mu-so, it will be interesting to see if Naim brings Airplay and Bluetooth to the Uniti and Classic lines. I have trialled Tidal and generally been pleased with sound quality and the amount of repertoire available. Biggest problem with Tidal for lovers of classical music is the lack of gapless playback, which ruins some recordings. Hopefully Tidal will fond a way of offering gapless and I would then consider subscrtibing. “Thursday 5th March 2015 marked another landmark in MQA’s short history. Now I look forward to the time when Tidal start offering MQA streamed albums to the general public.